These nationally recognised first aid and CPR courses offer a variety of skills sets depending on your requirements and can be delivered at your workplace or other agreed location. The program is delivered via a blended mode with an online theoretical learning module to be completed prior to the face to face practical component and is supported learning by qualified trainers with relevant industry experience. It can be contextualised to suit your workplace or community setting.We are known to provide first aid to the regional areas and pride ourselves on the importance of everyone having knowledge in first aid – no matter what walk of life. It’s a potentially life changing course and its fun!! WHAT IS REQUIRED OF ME and WHAT ELSE DO I NEED TO KNOW? Enrolment and payment must be received two weeks prior to the one day practical class to allow time to complete the pre practical day course work. All participants must be physically capable of performing CPR on the floor for 5 minutes. 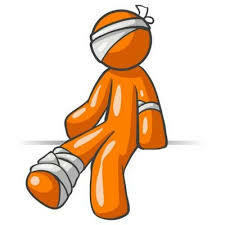 Currently First Aid & CPR classes are held all over Victoria in Regional and Metropolitan areas! We have run first aid classes nearly every month at least once, so get in touch via phone or email for further details or find us on Facebook for further information! HLTAID003 Provide first aid is only $165 including CPR.